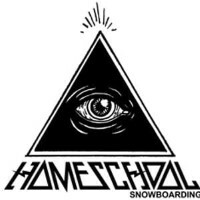 The Hiefield Scholarship is a complimentary season pass to Mt Hood Meadows awarded to two Oregon Interscholastic Snowboard Association (OISA) students who have and will continue to exemplify the best qualities of snowboarding and respect for Mt. Hood. Student GPA is not a criteria for the award, but student qualities of determination, commitment, and integrity are. Only current OISA members whose team trains regularly at Mt. Hood Meadows will be considered for this scholarship. Attorney Preston C. Hiefield Jr., as director of the developer of the Mt. Hood Meadows Ski area, was allowed two lifetime season passes at Mt. Hood Meadows. The Hiefield family enjoyed Mt. Hood Meadows over the years and wanted to share their experience with others. The Hiefield children, Julie Hiefield, Preston C. Hiefield III, Matthew Hiefield, and John Hiefield, suggested that the lifetime passes be awarded to worthy students interested in winter sport activities. Thus the Hiefield Family Scholarship was initiated with OISA and was meant to continue during Mr. Hiefield’s lifetime. Mr. Hiefield died on January 31, 2016 and Mt. Hood Meadows decided to continue the scholarship indefinitely in memory of Mr. Hiefield. The Hiefield family looks forward to reading future applications from this incredible group of talented OISA students! OISA thanks the Hiefield family and Mt. Hood Meadows for their continued commitment to OISA riders!